Rowena Gabarda was one of the beneficiaries of Bantay Bata 163 18th year anniversary celebration in Brgy. San Vicente, San Pedro, Laguna. Her husband is the sole breadwinner of the family, who earns a living by buying scrap while Rowena augments her family’s income by doing laundry from well off families. The family has 3 children who are still studying. With their growing needs, the family can hardly meet both ends. So when their family was identified by Brgy. 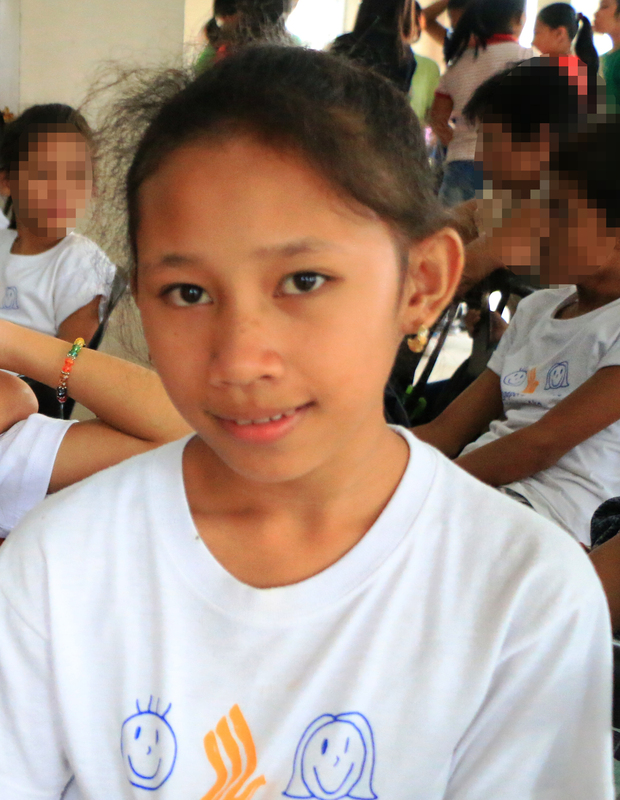 San Vicente as one of the beneficiaries of Bantay Bata’s outreach activity, Rowena was overjoyed. She said that in her 19 years in barangay, she has joined various outreaches already but Bantay Bata’s activity was totally different in many ways. “Ito kasi, kumpleto. May parenting, may palaro sa mga bata, may dental saka medical mission. Kaya maganda,” she says. (The outreach has everything. There are parenting lectures and children’s activities, aside from the usual medical and dental mission.) Together with her 6-year old daughter, she took advantage of the free medical check-up where she was prescribed medicines for her weak lungs. Her daughter was also given vitamins to help her gain more weight and stay healthy. Further, she said the free consultation and medicines were already a big help. Since 1998, a year after the launch of Bantay Bata 163, community outreach project has been a part of the advocacy activities of the program to help in the prevention of child abuse among communities by conducting parenting sessions and children’s activities. In celebration of its 18th year anniversary, Bantay Bata 163 partnered with Brgy. San Vicente, San Pedro, Laguna and DZMM-TLC to hold an outreach activity, targeting 300 families and 100 walk in individuals or a total of 1000 individuals. Services include medical/dental/optical, parenting on detection and prevention of child abuse, emergency preparedness, children’s activities, palarong pinoy, soup kitchen, free haircut and storytelling. Children were also entertained with a magic show, Enchanted Kingdom characters and a Jolibee mascot. With Bantay Bata’s commitment, it will go far beyond reaching out to more families and communities, promoting appropriate care by strengthening families and preventing violence against children. We enjoin everyone to support Bantay Bata 163.